Lost-9fm sat with Xzibit yesterday (September 14) in his studio in Los Angeles, to get an exclusive listen to his new project Napalm. The album is Inspired by trips to United States bases in Iraq. Xzibit gives fans 18-tracks that convey the raw emotion of the war that United States troops endure on a daily basis, while living in a combat zone. The project also pulls together a host of features that X acquired over the course of a year and a half of recording. While at the listening session Xzibit told stories of how the threat of violence was real when he was visiting Iraq. From the threat of getting sniped in a helicopter, to dodging RPGs, the rapper saw what it was like to be in a real war zone, while touring nine bases in five different cities throughout Iraq. “The response was dope, we were on the base that had Iraq and U.S. soldiers. Someone was screaming, ‘Concentrate,’ I could hear people were requesting my songs,” Xzibit told AllHipHop.com of his tour. Xzibit was so inspired by the trip that he even included actual members of the United States Armed services in the song “Meaning of Life,” as Xzibit called on retired Staff Sgt. Shilo Harris to speak on the song. 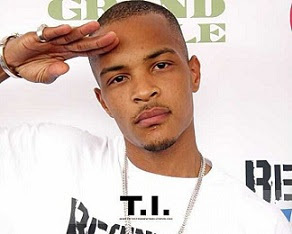 The lead single on the project is titled “Up Out the Way” featuring E-40, while Xzibit’s son Tre Capital, who is now 17, is featured on Napalm also. The album also features the introspective and emotional “1983″ that features Xzibit’s late mother and “Enjoy the Night” which features Wiz Khalifa and is produced by and featuring David Banner. Next Friday, Xzibit hosts his birthday party with Power 106 in Los Angeles.